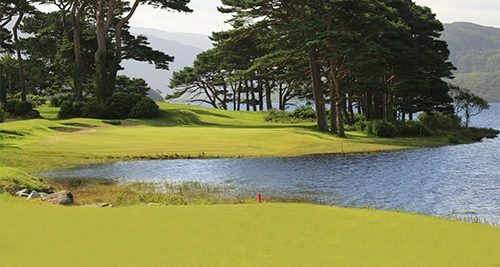 The Shamrock Pass is one of our most popular offers. 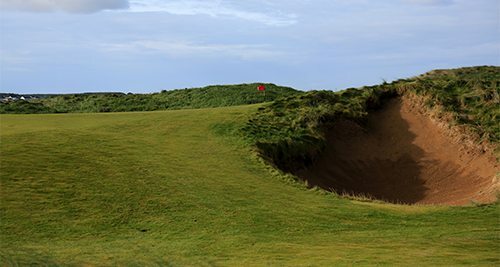 Golfers get to play 3 excellent southwest Ireland courses and experience the Wild Atlantic Way without the large expense of the top-line golf clubs. 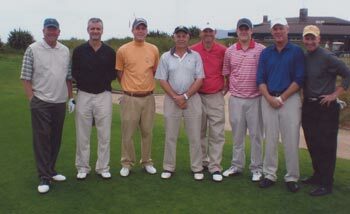 The tour includes 3 rounds of golf on 2 links & 1 parkland course. 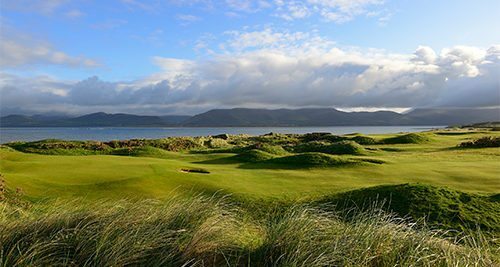 Dingle Golf Club (also called Ceann Sibeal) was founded in 1924 and it is located on Sybil Head west of Ballyferriter on the western extremity of the Dingle Peninsula. The Ballyferriter and Dingle area is rich in Gaelic tradition with the Irish language still very much a part of everyday life. 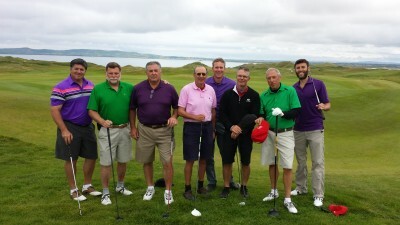 The Club is known as the most westerly golf club in Europe. 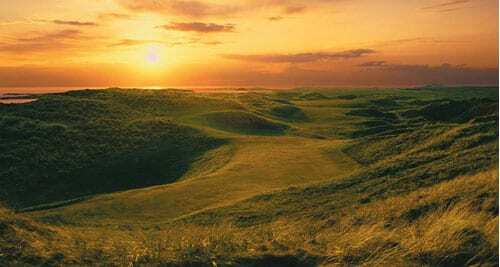 Each hole on this magnificent links golf course is carved from the natural landscape of one of the most unspoiled parts of Europe, with hazards laid down long before the game of golf was dreamt of, including a winding burn that twists and turns through the entire course. 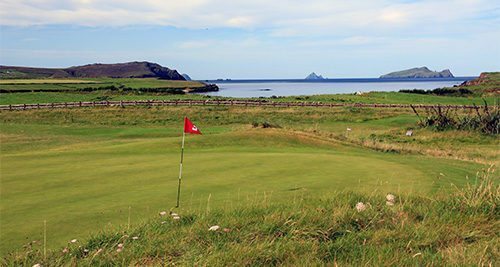 As you play the course at Dingle Golf Club, the whole panorama of the Dingle Peninsula is revealed – hidden bays with small fishing villages, glorious hills and mountains and the Blasket Islands out in the wild Atlantic. This area abounds in archaeological treasures, wild flora and fauna, arts and crafts and ancient Gaelic culture. Accommodation can be added on request. – Valid for 2018 at different rates. Exchange rates are only approximate and will be subject to change at time of booking. Note: * Valid for April – October 2018 (Mon-Fri) * Terms & Conditions apply. 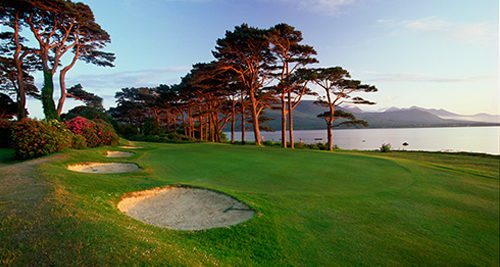 Added supplement for golf in Killarney at the weekend.